today I will close this year of our dialogues with various musicians with the view on one of the fantastic CDs, which I had fell for immediately after my return from Cabella. 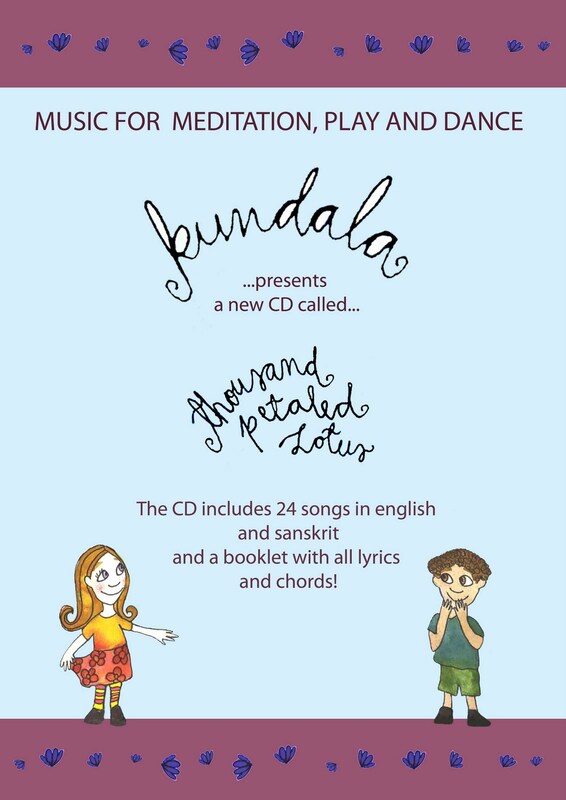 I am speaking about the CD for the youngest - about the CD with many songs for children, named Kundala. The authors are two yoginis from Germany - Jutta Hille-Ostermann and Katri Born. The whole album is full of short and merry songs which speak not only about individual chakras, about deities in them, but also about love to our Mother Earth and the joy inside of us. The album is accompanied by a very nice booklet and a many-pages supplement with the songs lyrics and guitar chords. I addressed one of the authors - Jutta - to tell me more about this album. How did the idea to prepare such album come to your mind? When Katri and me met first time in 2007, we both had already experience with Children meditations. Katri had worked as an aunty in Rome Kindergarden for a while, whereas me, I cared for children meditation and activities in german national seminars. We also had some meditation experiences with our own children. 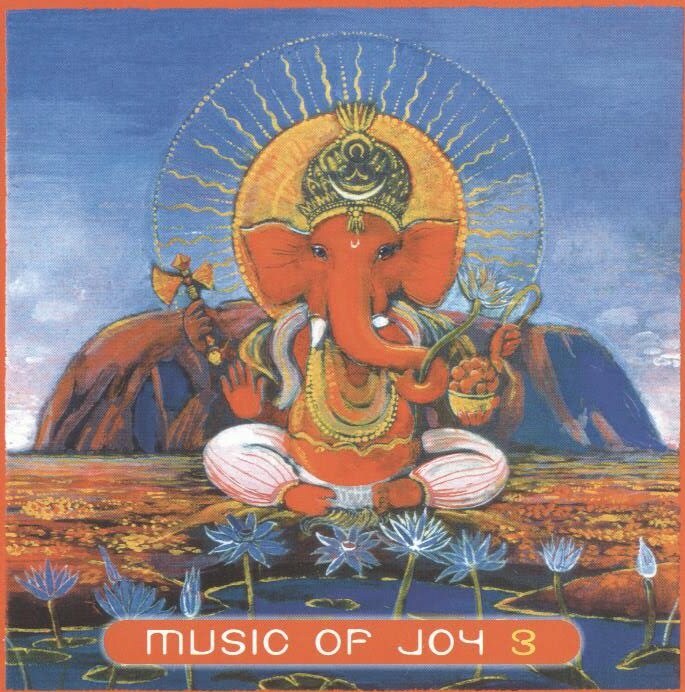 We both found, that meditation with songs is a very good and joyfull way to support the children in their growing and to focus their attention on different aspects of Sahaja Yoga. At that time, there existed only children songs in english language and we thought, it might be a good idea to create some in german language, so that german speaking children could understand the songs and easily sing along. We started with 6-or 7 songs and in the end a CD came out with 24 songs. We named it "Sa, Sa Sa, jetzt sind wir da!" 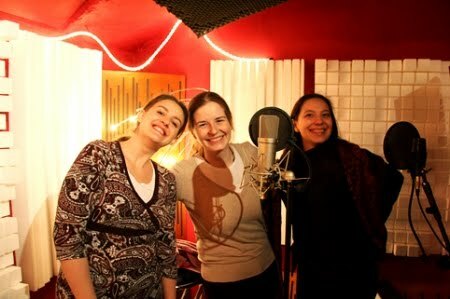 after one songs, which we later translated in the english song: Sa,Sa,Sa, here we are!! Cause we got a lot of positive response to that, we decided to translate some of the songs and add some new created english songs. Like this we worked on the CD named "Thousand petaled lotus" which is the one, you have heard. From where do you know each other? We had heard from each other through Katris sister in law. She had attended children meditations and enjoyed them very much. Than she had the idea, that if we get together, we could make more music for children and our songs could reach a greater public. So she gave us telefonenumbers from each other. We phoned and decided to send our little songs to the other. When we than met first time in Berlin, to work on the songs, we where really astonished, what came out of this simple melodies and how much we got inspired from beeing together. First we just played guitar, keybord and harmonium, sang in two voices and recorded our ideas with a very simple cassette recorder. Where and how was the album recorded? Later we looked for a possibility to do some proper recordings and while we did not know any one in Berlin or Hamburg, who could help us, so we decided to do it ourselves. We bought more and more tools to do proper homerecording: a good computer, mikes, headphones, kabels, midi-interface...and learned with a lot of trial and errorr, and the help of my husband, how to use these things...in fact this took in the beginning a lot of time to make the technic work and our time was so limited, because we both have a family, children and a household to care for and also work... but somehow the whole thing unfoldet step by step just by itself and we felt it was such a great blessing. Your ensemble is called Kundala? Why did you choose such name and what does it express? We were looking for a simple word, which is easy to spell and to remember and which has to do with the meaning of our music. 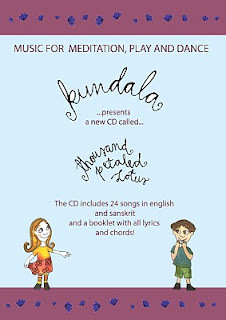 As you might know, "Kundala" is and old sanskrit term and means coiled up. And it has to do with Kundalini, this energy, which lies coiled up in every human being. In fact Sahaja Yoga is a way of Selfrealisation, which is triggered by the awakening and rising of this energy. With our songs we wanted to offer playfull experiences with Sahaja Yoga. Yes, our first "guest" was Rosa, Katris little daughter, who attended sometimes our recording sessions. For our first CD, the german one, we invited also to boys from Berlin (Luka and Nathan) to join our singing and for the second, the english one, Mischa and Sophie from Hamburg. Mohan a yuva from Hamburg played the djembe, Mischa also was playing the cello, aunty Amrei played the indian flute and Dile from Finland the electric guitar in one song. He was also the one, who professionally mixed our last recordings last summer in Helsinki. Thank you very much, for the compliment. In fact, we learned a lot during the whole process, specially me, because I was not used at all to perform and record... and yes, we played most of the instruments by ourself. First we thought of asking also other musicians, but it was already so difficult to get us two together, so we just used the modern possibilities of recording every instrument one after the other. 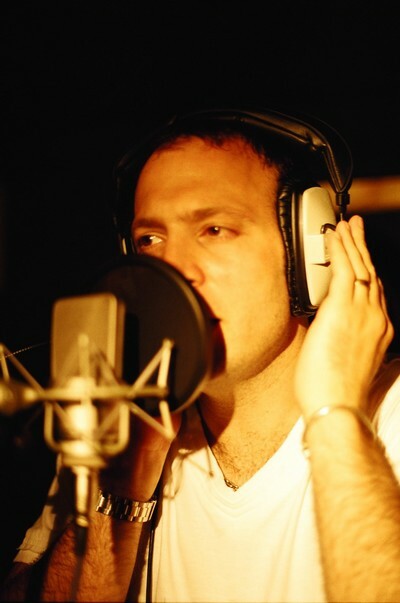 Children´s voices are also part of the album. What was the attitude of children towards recording? 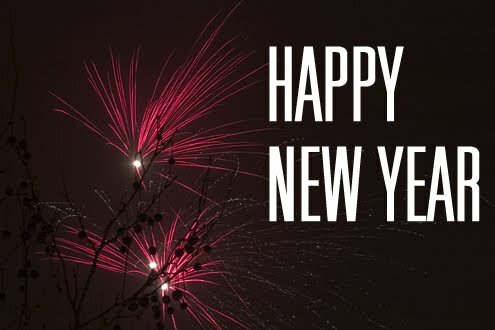 We wish you, that you enjoy the time being with your children. Specially, when they are still so innocent and open to learn, it´s such a great pleasure and regular meditation can guide them so nicely. May it be for all of you pleasant, joyfull, nourishing and inspiring. Don´t forget to dance and play ... !!!! The song "Adi Bhoomi Devi", which your grandson likes so much, is working very well, as a circle dance with many children. Just hold hands and ask the children for movements. They are so creative. The most interesting facts are in the last column. Do you cooperate with Cecilia on her new album? Do you also compose together or is it exclusively Cecila´s authorship? We mainly work together as a team, but this year Cecilie has been doing a lot on her own. 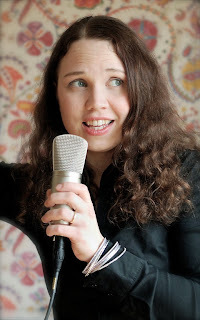 Since I’ve been in Norway and she in Italy she has sent me recordings over the phone and she has been collaborating with Rickard Persson from Sweden. He is a wonderful musician and has given fresh input and perspective into the new songs. Actually, Cecilie and I had our first rehearsal together (in almost four months) two days before the Czech tour. Now we know each other quite well, so it doesn’t take very long to get into the mood. But I had to call up Rickard to get his instruction on how some of the songs should be done. Santacecilia is basically centered on Cecilie’s compositions. Her way of expression in the lyrics, melody lines, and also vocal form are quite unique to her. So it becomes very natural that she is the main song writer. Of cause, sometimes we collaborate to put different elements in a song together. She is very impulsive and spontaneously creative, and I am perhaps a little bit more traditional in my approach. Then we try to meet where the song „feels right“. But the biggest challenge is to avoid overplaying, and leave enough space for her voice to express. 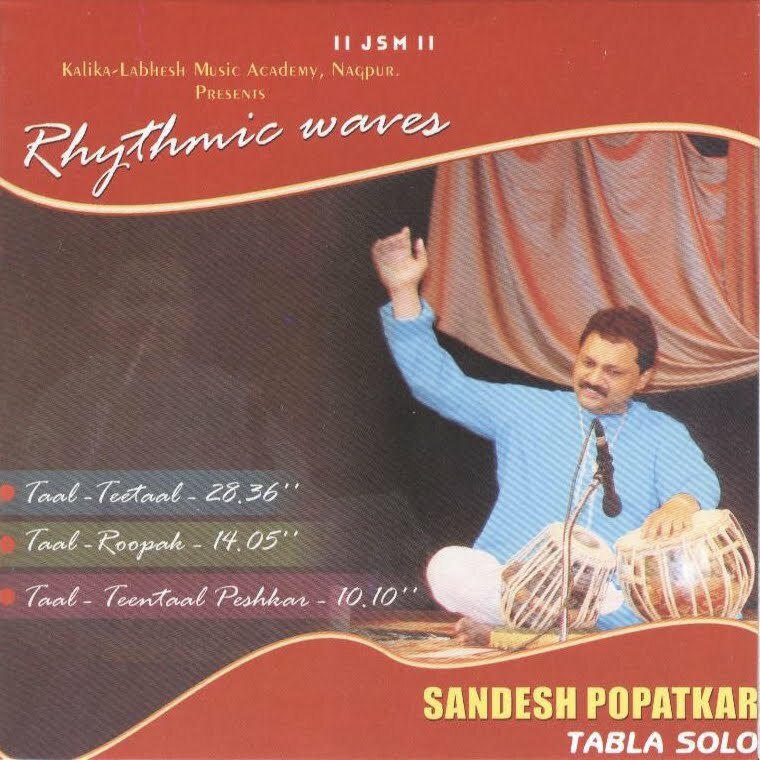 What was the difference at the concerts with Sandeep Bodhanker and what were the concerts like when you played alone? Sandeep Sir, is an old friend and we’ve known him since 2004, when he was a teacher at the Vaitarna Academy. He is extremely gifted as artist, both as a dancer and a singer. And despite his relatively young age he is already an acclaimed master in a noble line of masters in the South Indian artistic tradition. Actually I never saw him dance in public before. So it was very pleasing to watchhim perform on stage especially at the theaters with lighting. It was decided that we should be there as his surprise guests and we were honored to be so. He worked out the new crowd and gave them realization, and then we could just come in and float on the vibrations. But people mainly came to the programs expecting to see him dance, so there was a timetable and protocol to maintain. And therefore little time for us to get really comfortable on stage. The difference when we did the exclusive Santacecilia programs was that we felt we first and foremost represented our own music and tradition. Witch of cause is an illusion. But perhaps we appear a little bit more relaxed and confident then. 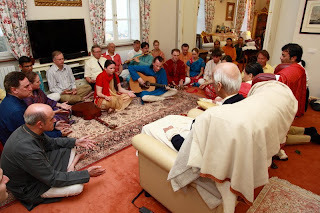 You also visited a small musical seminar in our Czech ashram. How did you like it there and what are your feelings from the tour? We were totally spoiled by our brothers and sisters in the Czech collective. They did everything for us. They treated and nurtured us with such love, respect and endless hospitality. And they showered us with credits and compliments nobody could ever deserve or expect. It made such a deep impact on us. The Uvaly Ashram felt like home since day one and we will never forget all the wonderful people we met on the tour. Perhaps the Czechs don’t necessarily always wear their heart on the outside. But when you do get connected, it overwhelms you like a giant wave. Even though we didn’t speak the same language, our hearts got so connected to the people there. Unfortunately (due to the tour schedule), we couldn‘t attend the whole seminar. But we loved the parts that we were able to attend. We also got some time to do some musical collaboration with Fabrice Michel on Santacecilias music, which we enjoyed tremendously. Hi, Cecilia, I have heard that you spent this summer in Cabela and composed there the songs for your new album. How is the work going and when can we look forward to your new CD? Hi, I spent three and a half month working as a volunteer in the Castle. 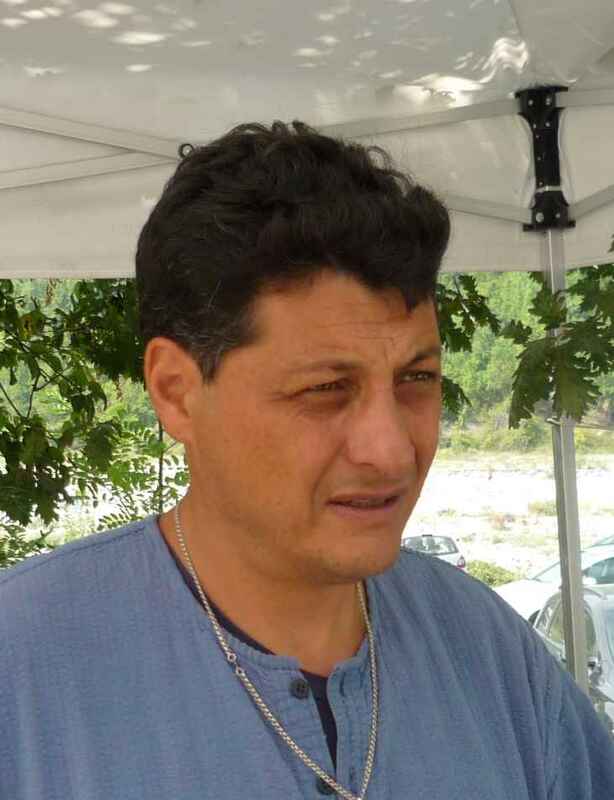 I also spent some time with the yogis in Albenga (A three and a half hour drive from Cabella). It was really good for me to be away from my normal environment for some time. Yes, there will be a new CD. We will soon be back in studio, but I can‘t promise any specific time for when it will be finished. But definitely in 2011, maybe it will be ready for Shri Adi Shakti puja or before. There are still new songs coming for the next CD. With me anything can happen. Sometimes things go very fast. It depends on what Mother wants. I trust Her, She knows. As all the rest of my life is depending on Her. Sometimes I have to travel somewhere to find a detail for a song, or to meet the right person. And sometimes the answer it’s already there inside. Or maybe I have to give someone self-realization to open up a new door inside of me. This is how things work for me. Suddenly the CD is there, and I feel that I have not done anything. I don’t push myself, She pushes meJ. And I feel the time is right to start studio working now. What is the new album about? Will it be also as inspirative as the first one? 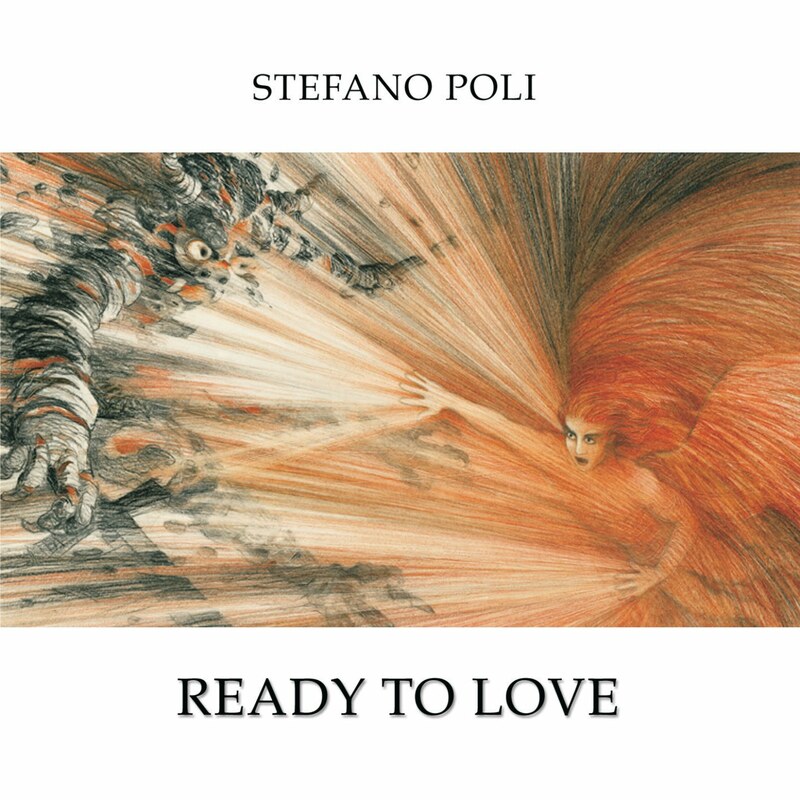 The new CD is about „ LOVE“. Love written in different words. For me there is nothing else to write about. When I feel the pure love, it inspires me to write. When I was in Cabella, my heart started to open (as it often does when you are in Cabella). Then I feel more like a universal being. 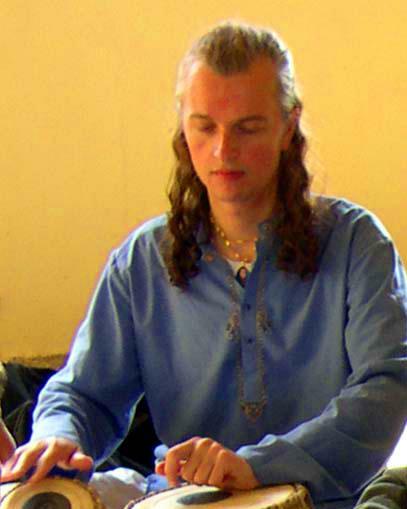 I am not a Norwegian; I am totally a Sahaja yogi. And my heart belongs to all my brothers and sisters. I have met such beautiful brothers and sisters, to whom Shri Mataji has given me the blessing to write new beautiful songs. The more I grow spiritually I feel the love is shining through the music. 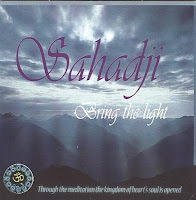 The new album will be more open, and the songs are simpler, even for the people who are not sahaja yogis. Maybe I could call it more collective songs? It is not for me to judge, but what I know is that I am in love with the music. On the net I have seen that you got the blessing to play directly for Shri Mataji who presented you and Ketil her darshan. Can you write anything about this precious moment? It all started before Shri Adi Shakti puja, at Sahasrara puja. I wrote a poem „The kingdom of love“ to Mother. And before I knew what was happening (When we where giving the gifts after the puja), I was standing in front of Mother reading the poem. I can’t describe the spontaneous feeling of love I felt reading the poem. For me this was one of the greatest experiences I have ever had. Because I was never expecting it, it just happened. And one of my dreams was to sing one of my own songs in front of Mother. Instead I was standing in front of Her reading a poem. After this experience, I just knew in a way that I was going to sing in Her presence. I was ready to sing for Her, I felt it. You feel when She is calling for you. And then we were invited. But I remember sitting in the car driving to Genova. I just wanted to sleep. And the only thing that I was thinking of was how can I sing for Her when I feel so sleepy. But when we arrived I woke up from all the clearings. It still seems like it was in a dream. Sitting in front of Shri Adi Shakti, first I was singing rag Darbari,(“Shri Kalki“ of late Dr. Arun Apte), and then I sang „She“, one of my own songs. Looking Her in the eyes when I was singing. There are just no words for this happening because it is so great. Only tears. It was like I was giving Her back what She had given to me or to us. And it felt amazing when we all sang together some parts of the song. I asked people to sing. It was a very important happening to me. It was after this darshan She gave me the inspiration through the yogis to write new songs. She is the inspiration, She is everything. Together with your husband Ketil you have recently played in the Czech Republic on a small tour. How did you like playing here and what was the audience like? The tour in Czech was a good experience. And it guided me, or pointed out for me, what I am. I am a Sahaja yoga artist. 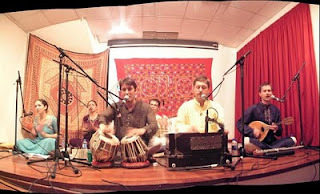 The way of spreading the music is by being in a Sahaj team. When we where out there in Czech, it was not just me as an artist, but the hole team that worked together. 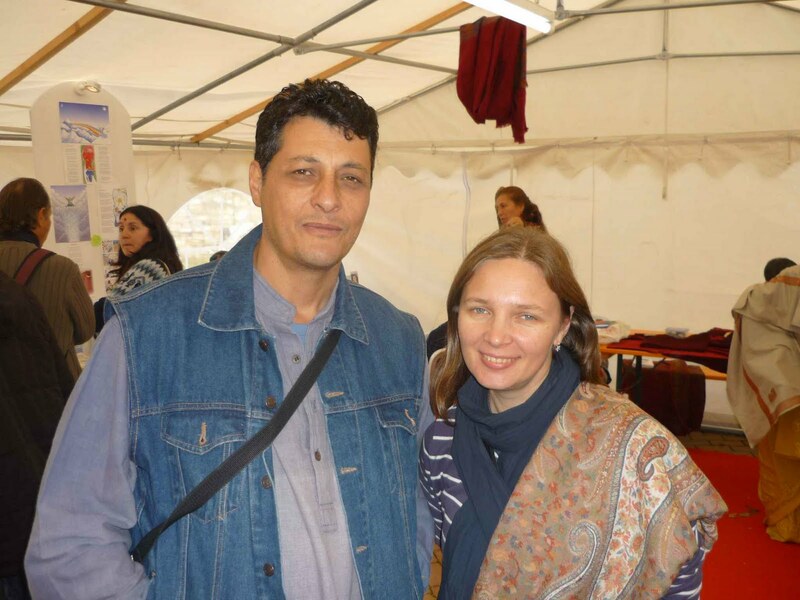 I am very thankful for how we where received and taken care of by the collective in Czech and the Uvaly ashram. I had such a great support from my two team sisters Lenka Pokorna and Keira McGrava from Scotland. I m very pleased, because after this trip I got so many spiritual blessings. It has lifted me up to a new level of meditation and music. This I can not describe in words, I just feel it through the vibrations the strong and beautiful love inside. Playing for the new people in Czech, I felt often very amused, because it was like they did not want to reveal their feelings. But I could see their feet moving up and down. Some of them felt some tears too because their heart opened up. It was sometimes hard for the system to cope with the clearings. But I quickly forgot it, because of all the love I felt seeing peoples heart opening up. I have learned one thing through my journey in Italy and Czech, and that is to try and make people participate, to show that they are a part of the happening. That is why I call the new songs „more collective“. It is easier for them to sing with me, on some of the parts. And then I feel their hearts open up. We are like children, we like to be entertained, but we also like to be a part of the entertainment. 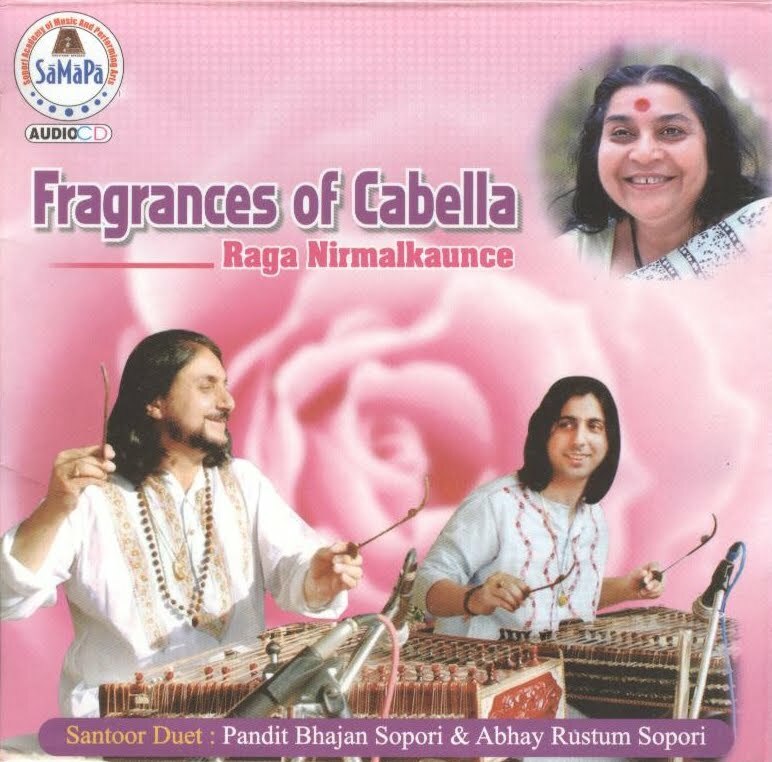 We play different music on our radio, from rock to indian ragas. I like that mix when you don´t know which piece is going to play. We play various styles but we have not had pop so far. Only this month when we got an album by a singer Eric Loren. Do you like U2? Do you like their songs? Then you won ´t be able to wait till this name and the album is on the radio – Soul Migration. And what is the record like? 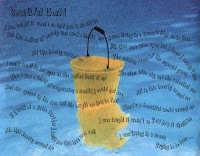 I could use similar words as are already written on pages CD Baby which this album sells – They are written by a fan: "If you like U2, I bet you would like this album. I would definately buy another album by this artist." Eric, can you introduce yourself a bit? You are American and now you live in London, why such a move? Where are your music roots? Well, basically I came over to London to go to drama school. I was at a University in the States, but didn't like it too much and left after 6 months, then I went to a Conservatory of music in Boston for a year and wasn't very happy there either. So, eventually I auditioned for The Central School of Speech and Drama in London and came over here when I was 19 and haven't left. I was always really influenced by English music: The Beatles, Led Zeppelin, The Who and then I really go into The Clash in a big way, so for me it made a lot of sense to be in London. My brother had always been in bands when we were growing up and we agreed someday we'd play together. He was always a major influence on all my music. We had a couple of bands together with (guitarist) Steve Kirby, but Blank Silver, our last band, was a real culmination of all our musical influences. Riffing guitars, big drum sound with very melodic vocals and harmonies. Your album was produced six years ago and it still sounds really great – the influence of U2 is obvious. Are you impressed by them? Yeah I was always a big U2 fan, especially The Joshua Tree. I loved the emotion that Bono put into his singing and the space The Edge created. It's funny, I never really considered the similarity to them, but I'm flattered. Just don't tell Adam (Fox). He's not a huge fan. Yeah this whole album was Adam and I. We had a great time. I was directing a play and Adam did some playing and producing for me and we really hit it off. We both had serious rock roots and had an evening of sharing music and bands. I said I was looking to do a solo project and he said let's do it together. So it started really simply. I didn't want to have any pre-conceived ideas about the sound, except I wanted it to be personal. So we just started by playing through a couple of tracks and picked one to start with. I'd play the song and then hand the guitar to him and we'd work on the arrangement. Then we'd sit together working everything else out. I had Adam do all the guitar work. He is such an amazing player, I didn't see the point in trying to hack it out myself. Also, I kind of felt writing and singing everything was enough. We just sat together trying out ideas into the early morning. This was an amazing experience for me. I was writing music all the time. If I picked up a guitar the songs kind of wrote themselves. Adam and I became very close friends and we were just about to go out gigging when I got a string of acting work and had to put it all on hold. 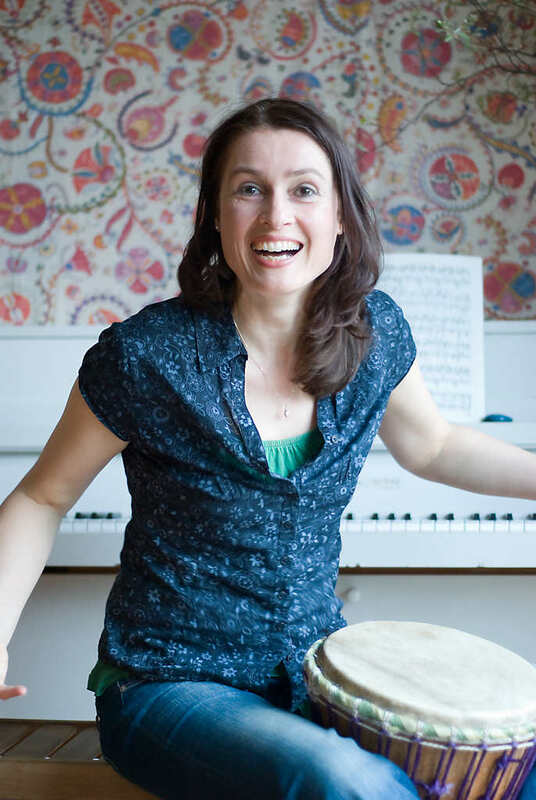 I started recording more songs instead and in the end had to stop for a bit when my second son was born. You are the author of all the songs. Please tell the listeners who have not heard the album yet what are the lyrics about and how do you make the music? For me this project was really about trying to be completely honest lyrically about what I was going through at the time. I would write all my songs on the acoustic guitar. Usually, I'd start with the music and lyrics of the chorus and then just keep playing it until I felt like I knew where I was going with it. You know, each song is different. All this world was really just as it says. It's like everything I'd picked up and all my conditionings slowly dissolving. It was important for me, however, to be honest that everything wasn't always perfect. I felt if I could share the difficulties as well as the joy this would reflect the reality of life . I like to play some songs over and over – for example All This World or Angel of Mine (like U2), Embrace Me or the dance piece I never Wept. Can you tell anything about them? Well, Angel of Mine and Embrace me were brought about by an amazing experience I had. A friend of mine, incredibly, was able to see Angels. One evening he said he could see an angel wrapping its wings around me and embracing me. I could really feel something magical happening. It stayed with me a long time. I wanted to experience this relationship with my own Guardian Angel. I have been fascinated by it. I Never Wept, however, is quite a personal song. I had gone through some personal loss at the time and it was really my way of coming to terms with everything I felt and how, even when I was at my lowest, somehow I felt my deepest connection to the divine. I realised this was always going to be my life no matter what happened to me.That really gave me peace inside. On the booklet you thank – like many other musicians – Shri Mataji. What does Her name mean to you and what is Sahaja yoga for you? 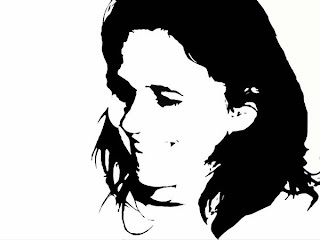 Well, for me she is everything. I never really was able to write music until my realization, so it was a clear channel for my creativity. There was no question where it was coming from. 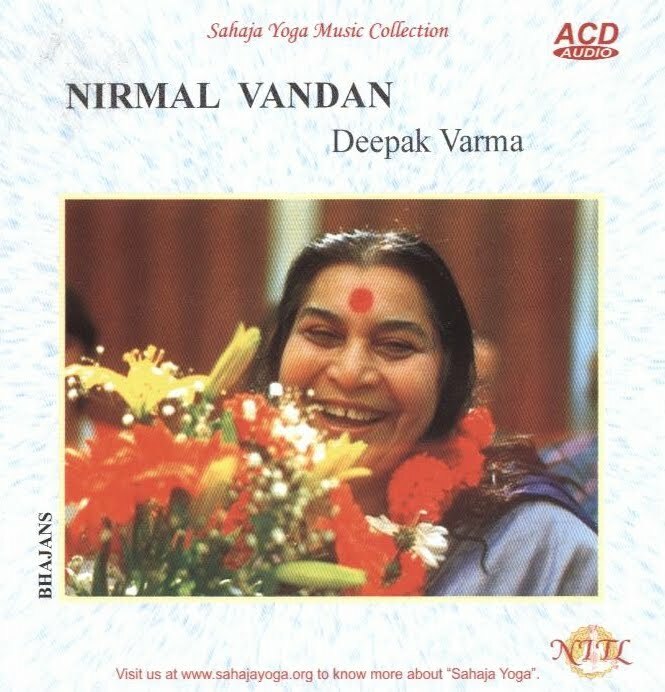 Really all the songs are about my relationship with Shri Mataji and my spirit and how I was dealing with everything surrounding me, conditionings, past, present and still present unfortunately. I wanted to make an album where people could really feel my spirit talking through the music. One of the best compliments was from a yogi friend who said what I was writing about was exactly all the emotions he was going through. Also, my mother used to put on the album to relax, she said it made her feel very peaceful. I think really the lyric for Angel of Mine says it all. "I rest my case forever, hold up my hands surrender to ... only you". On this blog we woud like to more closely introduce your CDs which are played on your favourite radio. 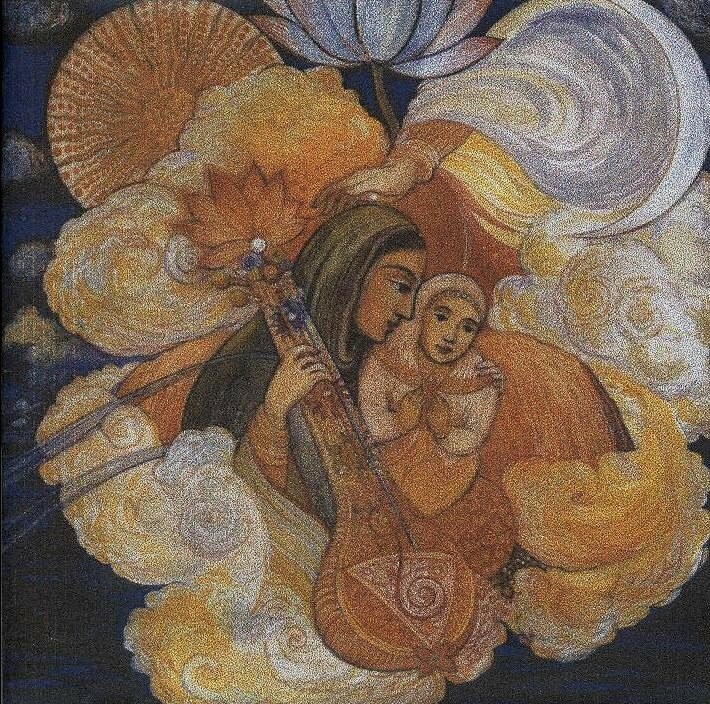 Most of you have been given the gift of creation and blessing by Shri Saraswati. Music is the communication which does not need words. Through music it is possible to feel the Divine vibrations and also express love, feelings and joy. We would welcome short interviews which we would like to make with you – if you agree of course – and that way to provide deeper view into your creation. 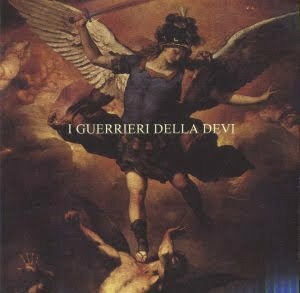 Today I am here with a short view on one of well-done album. After some time my hands put into the CD player one of those older CDs, which I did not listen to for quite a time. 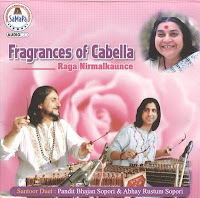 The musical wind will take us this time to Romania where the band Sangeet Lahari is. This album is really good, full of joy and full of nice bhajans. It reminds me very strongly my favorite remastered double album Music of Joy. 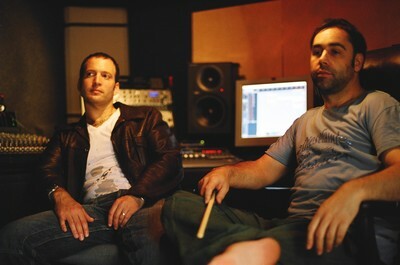 Tablas and drums run in a quick rhythm, singing and other instruments are professionally mastered. It has no sense to write more about this album, much better is put it into the CD player and push the buttons. 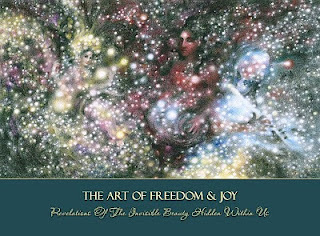 The mood arrives immediately together with vibrations and you are enchanted by that indescribable inner feeling of joy, which is also the title of the album – Inner Joy. I welcome Sangeet Lahari at this table. The short interview, which we will make now, is planned for our weekly. At the beginning I have heard that you have just ended some tour round Western Europe. How did it come, that you travel round Europe like this? 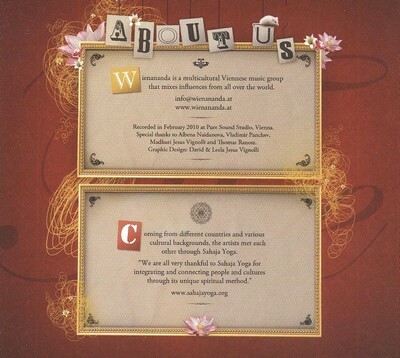 Yogis from France sent us the invitation for this tour. And while in France, we also received invitations to have concerts in Spain, one was in Belgium, in Brusseles. Your album Inner Joy, which was on sale some time ago in Cabella, belongs to my favourites. So I would definitely like to introduce shortly our revers with your group. How was your group formed, how your members came to sahaja yoga – just give me some brief answers. We were all grouped together by sahaja yoga. No harmony and no friendship among us would be possible without yoga. As the matter of fact we met only because this is our single purpose – to spread this yoga. At the beginning we were not planning to set up the professional group, but simply to spread sahaja yoga. It is individual. Some of devote to music for 6–7 years or even more. Andrej is a professional musician and plays for a long time. As a group we are together for 9 years. The album is professionally very well done, well recorded. Where did you record it? Who helped with it. Were there any professional musicians? It was the first time we worked in the studio. We did not know exactly what it would be like. We thought, that we simply come, sit down and simply record it. Gradually, as we were learning how it works in the studio, the album got another face. 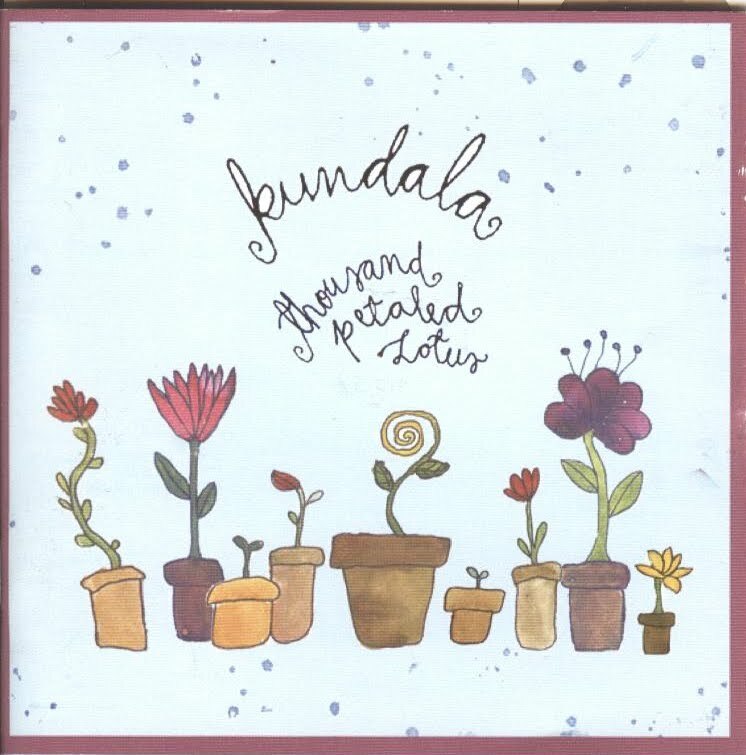 This CD was recorded in Kruz in one quite cheap studio. It took us a very long time to record it, but we did it correctly. We found out how to make it and we also found many possibilities of that studio. We met one studio engineer of our age and he learned us many useful things. We became very good friends. At the beginning he did not like our music at all, but after a few days of recording he became to like it. Now he is interested in yoga very much. 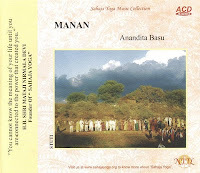 From my point of view the album is very good – there are bhajans and also mantras. 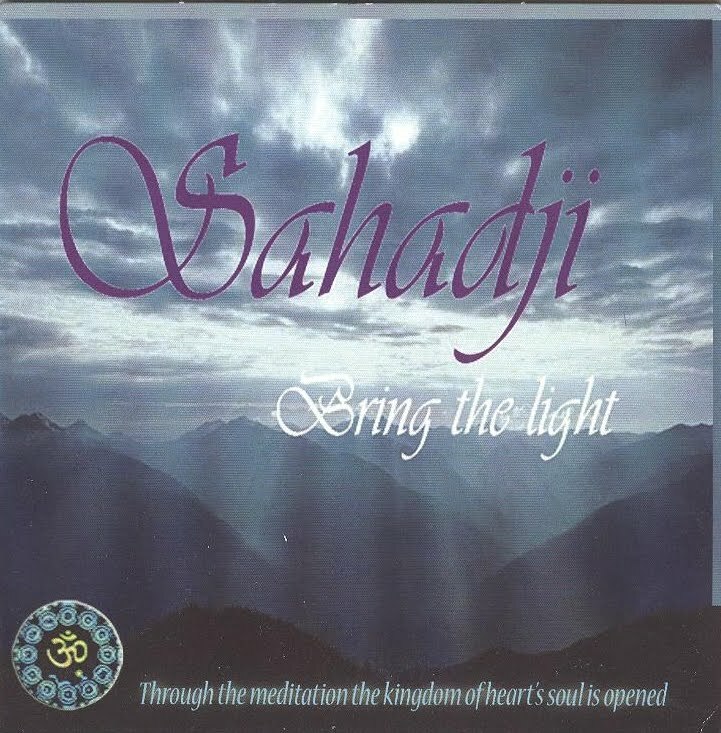 When I listened to it for the first time, I realized that at the end there is sahasrara mantra – it was a good idea to take it over and try to remake it your way. Great! 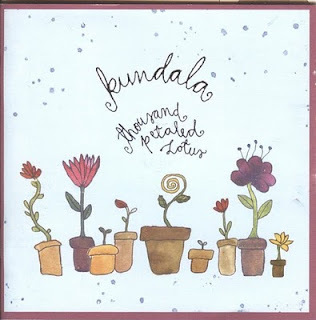 Again one of the most wonderful CDs which I have ever got. 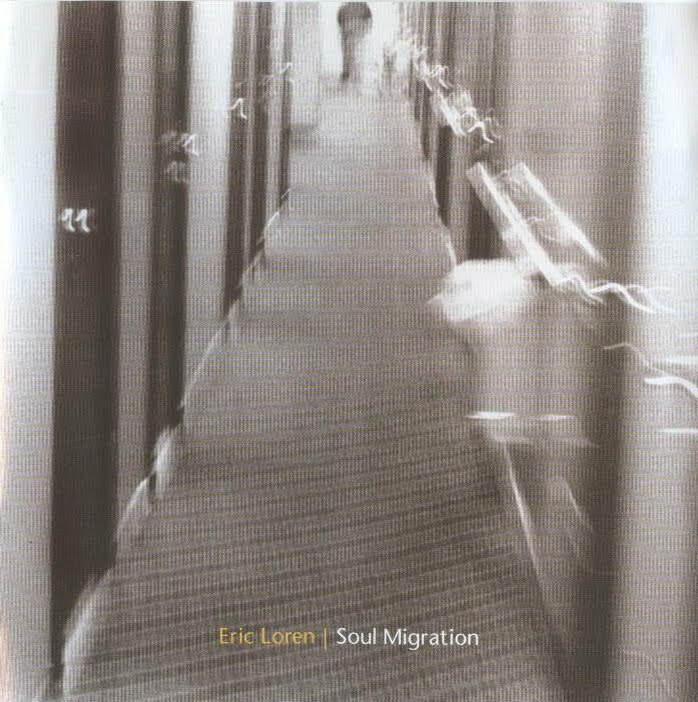 When I heard it for the first time it was like I went several decades back – the time when Universal silence, also a very nice album, was made. Yes, this record of the Austrian group Wienananda is quite similar – both in music and in the feeling and songs. 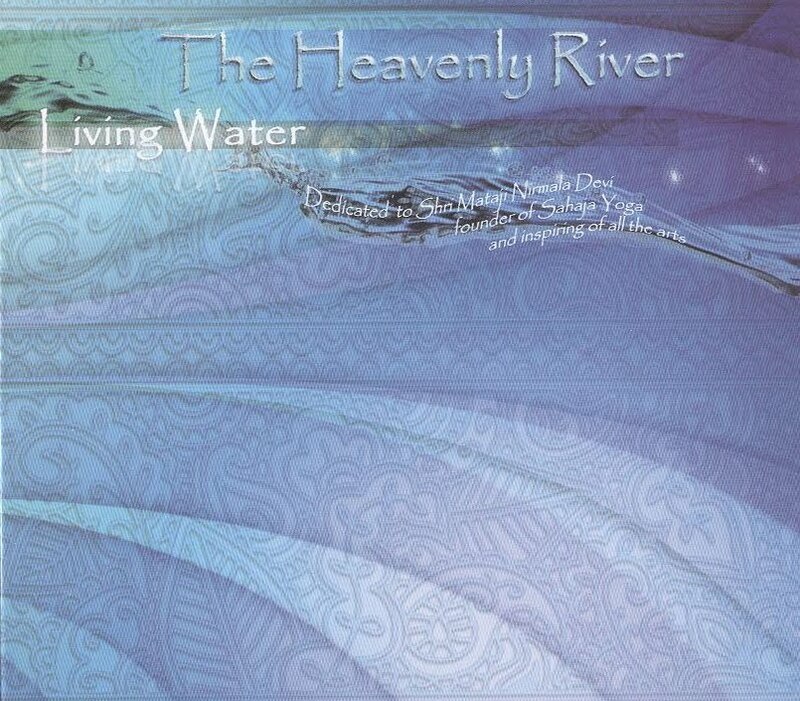 It is musically colourful, you can hear not only bhajans and the variety of well known sounds but also for example Irish motives – and it is really nice. 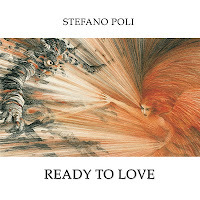 I like the whole album very much and if you see it anywhere, do not hesitate and buy it. It will play very often! Can you shortly write something about the group Wienananda? 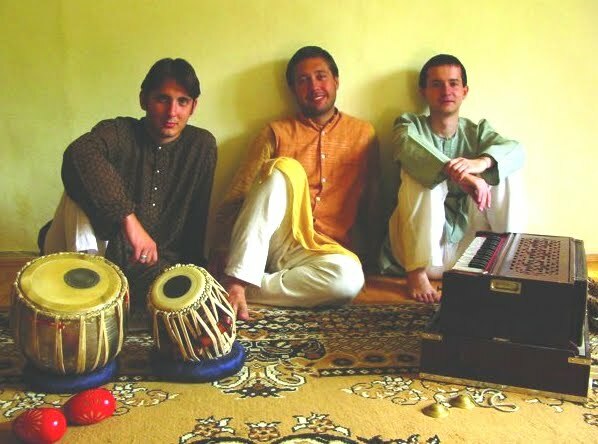 Wienananda is a multicultural Sahaja music group that mixes influences from all over the world. 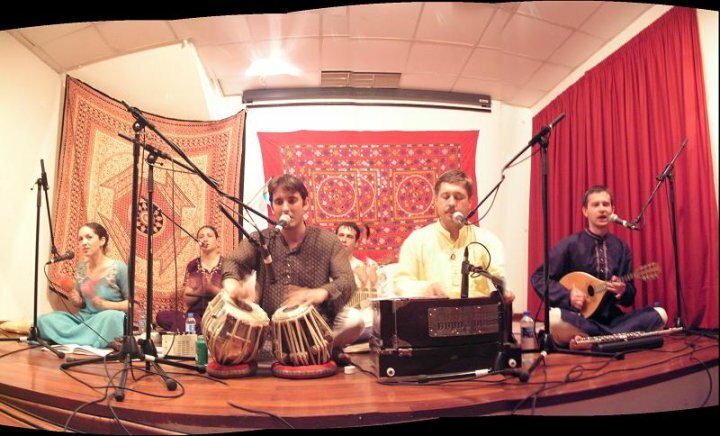 Coming from different countries (Austria, Croatia, Rumania, Brasil, Poland, Germany, France and India) and various cultural backgrounds, the artists met each other in the Viennese Sahaja Yoga collective.The group started in 2008 with 3 people coming together to make music just for the joy of it. As the joy was growing so was the group. Right now we are 18. Some of us are professional musicians, most however hobby musicians. 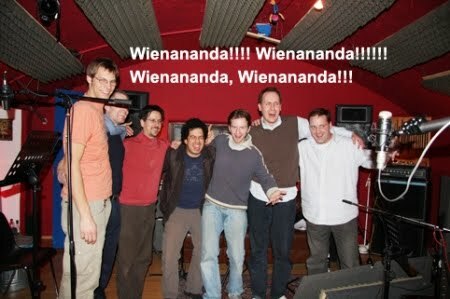 Because we enjoy so much singing together we called our group: Wienananda. "Wien" is the german name of Vienna and "Ananda" meens joy in Sanskrit language, the combination of these two names symbolizes the merging of cultures and can be translated as: "The Joy of Vienna". 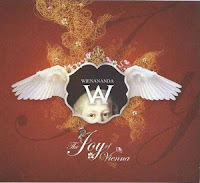 The „Joy of Vienna“ has also been chosen as title of the album. The whole booklet is dedicated to Mozart, the pictures within show the period in which he lived. Why did you decide to make it this way? Our idea was to create a design which showed Vienna’s cultural heritage. On one hand it appreciates the culture and on the other it makes a little fun about it. But actually the music of the CD is not specially related to any place or country. It is very multi-cultural. Mozart was chosen because he was the ultimate musician and very much related to Vienna. Most of the Sahaja Yogis will know that he is an incarnation of Narada, the divine musician. The graphic design is great art and has been made by David and Leela, a sahaja couple of Wienananda. The worked on it for 45 hours.. The joyful pictures have been taken by Vera (Amba). How did the idea to record an album like this come to you? Where did you record and how did you choose the songs? The idea to make an album has been in the air for some time. Our desire was to spread the music we make to the global Sahaja collective and to all the seekers we meet in our concerts. 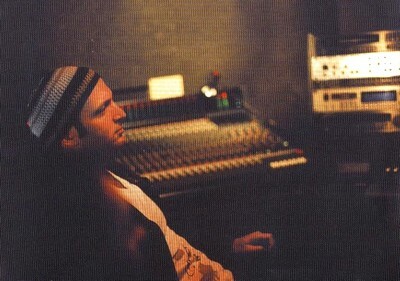 Seven of the nine songs on the album have been composed by members of Wienananda. The last year was a great and blessed year for us and much music has been created. 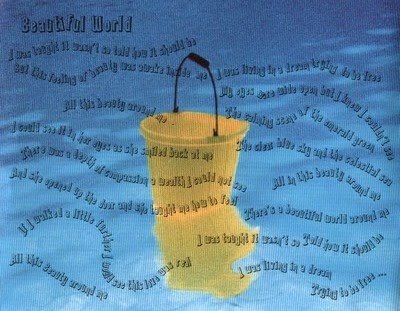 You can say the album is a mirror of the joyful time we had and the songs we sang. 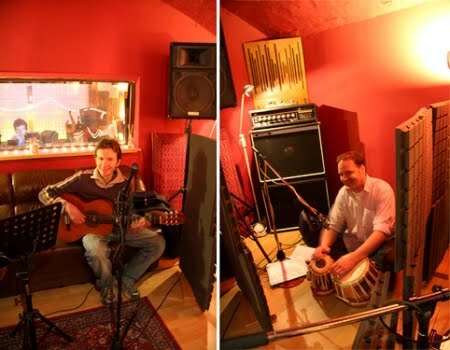 „The Joy of Vienna“ has been recorded in February 2010 at a live session in the Pure Sound Studio Vienna. The record is not only sahaja, I also like the Irish motives, the variety of musical instruments and so on, it is a great idea. 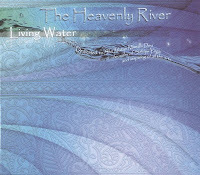 Can you write anything more about my favorite song Irish dance and about the songs Sahasrara Swamini and Shri Hanumana? Yes indeed the the variety of instruments has shaped the CD immensely. The Irish or celtic motives have just been created spontaneously. Nobody planned to do that, but of cause we noticed it too. The whole album was arranged and shaped by the group and everybody contributed with a special skill. The "Irish Dance" has been written by Wienananda‘s genius guitarist Michi Paul. He always played it after our collective practice and we decided to include it in the CD. "Shri Hanumana Brilha Em Nos" is a song which has been written by our lead singer David. You might already have listened to his amazing composition "Drops of Love". Shri Hanuman was the first song he wrote when he was 18. We just discovered it on his laptop and have been playing it ever since. 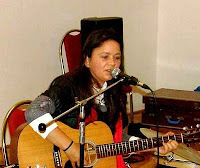 "Saharara Swamini" has been the first song I had written back in 2005. We felt very blessed when we could perform "Sahasrara Swamini" to Shri Mataji during her Austria visit in 2009. 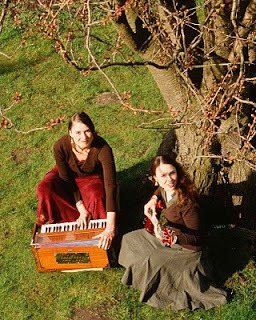 Where can your fans see the group Wienananda play? Are you going to make a video clip for Youtube?